Anthony Broome II, 27, was arrested on Thursday, for shooting Sean Ware, 46, on April 30, in the 100 block of O'Neal Street. He was also charged with the June 15, 2017, murder of Shandar Weaver, who was also shot on O'Neal Street. The 39-year-old Weaver was shot in broad daylight. 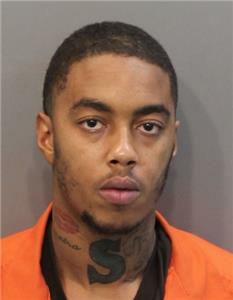 The Chattanooga Police Department charged Broome with attempted murder and aggravated assault. Broome was booked at the Hamilton County Jail. For Waver's death, he was charged with criminal homicide, felony reckless endangerment, and unlawful possession of a firearm during the commission of a dangerous felony. Ware told police he was shot at 103 O'Neal St., Apt. D. He said he was at that address when an unknown black male entered and told him to leave. He said the man then shot him in the leg, then left. A second person also witnessed the shooting. Police recovered a single 22 LR shell casing at the scene. A witness said he saw Broome shoot Ware, then go nearby where he got a ride with a female. That woman said she was approached by Broome, who asked her for a ride. She said she dropped him off in the vicinity of Parkridge Hospital. Police were told that Broome had dropped a gun through a vent at an apartment on Glenwood Parkway. It was located and was found to be a Beretta 22 LR pistol.